Zeta Beta Tau (ΖΒΤ) is a Greek letter social fraternity. ZBT was founded on December 29, 1898, as the first Jewish Zionist Fraternity. According to changes in policy enacted in its century of history, Zeta Beta Tau has moved away from its exclusively Jewish membership and Zionist mission of its founding. 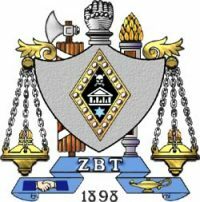 In 1954 Zeta Beta Tau was the last of the Jewish fraternities to open their doors to non-Jewish members, changing their membership policy to include “All Men of Good Character” in order to comply with anti-segregation laws of the time period. For more information, visit the Z-B-T website.